It's that time of year again when boxes of brightly-colored marshmallow chicks and bunnies line the aisles and check-out counters of the local grocery stores. 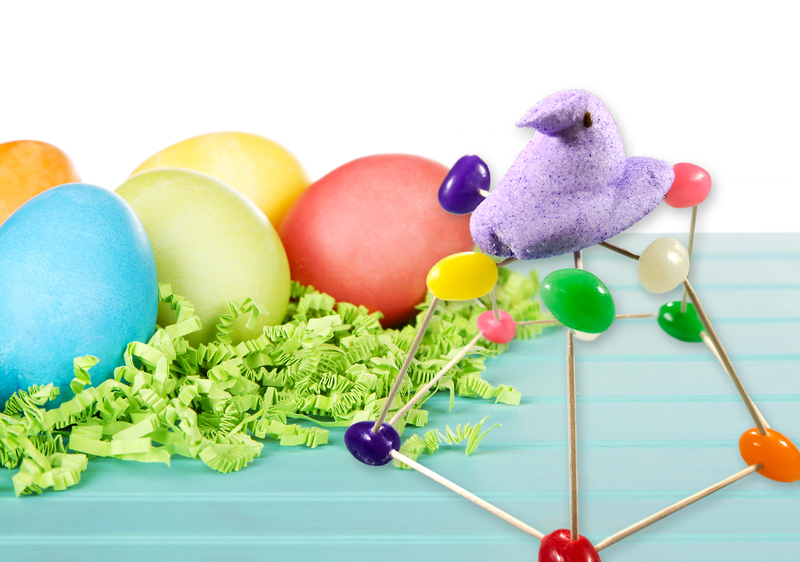 Whether you love 'em or not, Peeps are the perfect spring candy for STEM activities, including the five STEM challenges we're about to show you! 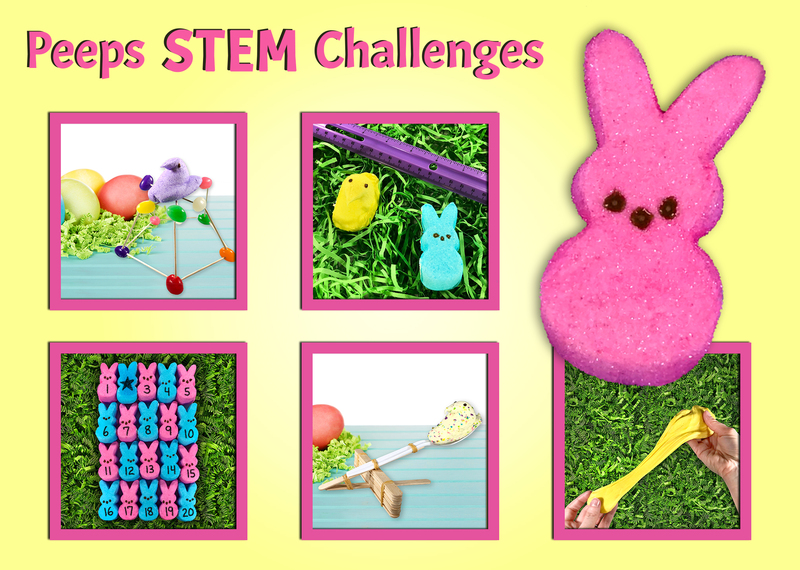 So grab a few packs of Peeps and prepare for some spring STEM fun! This science activity teaches students to make observations like a scientist! Students will observe their Peep with their five senses and record their observations in a journal. Students will note what their Peep looks like, how it feels, what it tastes like, what it smells like, and any sounds they notice as they handle it. 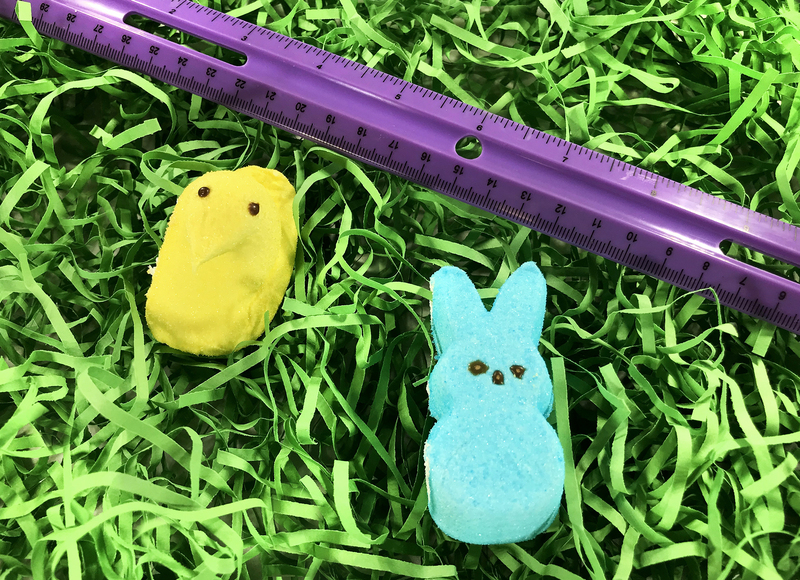 You may also require students to collect additional data, such as the length of the Peep when measured with a ruler, or the weight of the Peep as recorded by a balance scale or kitchen scale. 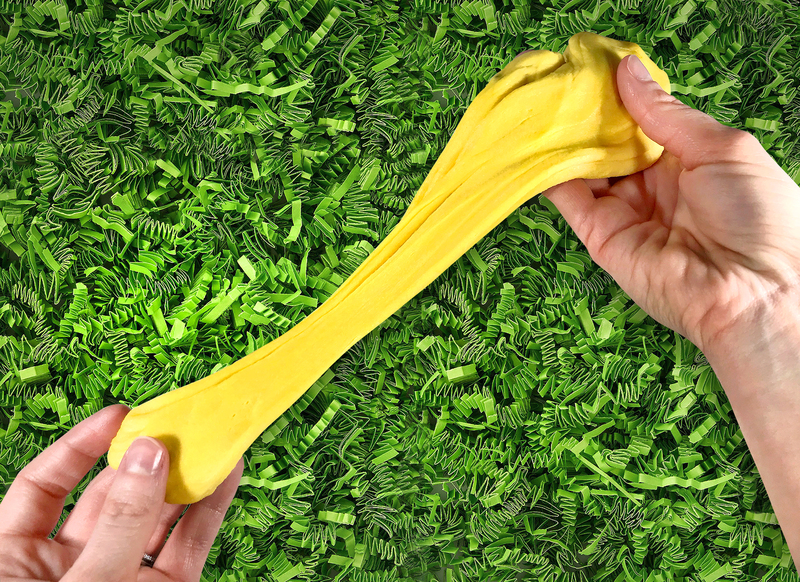 Make Your Own Peep Putty! Add all the ingredients into a microwave-safe bowl. Let the bowl sit in the microwave to cool down for another minute before you take it out. When the mixture is warm to the touch but no longer hot, knead it with your hands. It will feel sticky at first, but it will come away from your fingers because of the shortening. Once the mixture has reached a putty consistency, you're done! 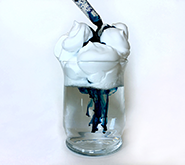 Feel free to add five or six drops of food coloring and mix it in with a spoon or your hands (if non-staining) at the very end. 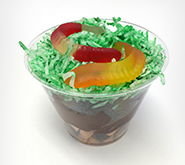 This is another fun engineering activity for kids. This time students will make a Peep catapult! 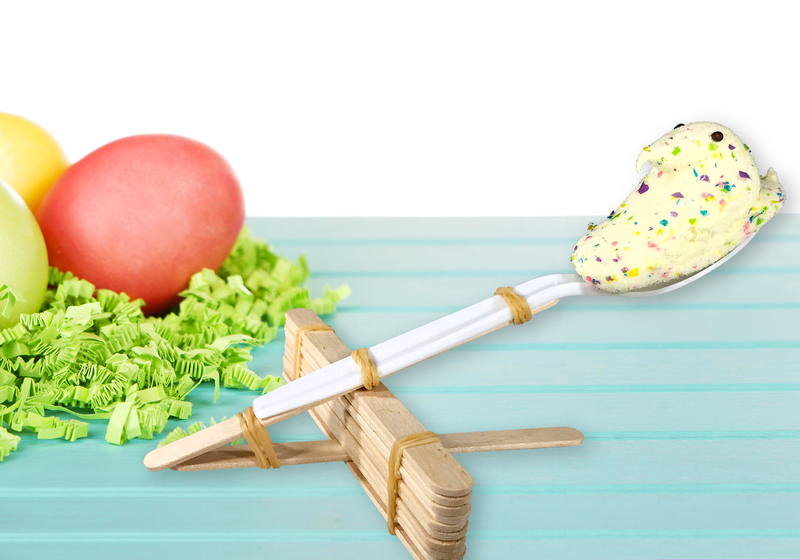 Make sure you have craft sticks, rubber bands, and a plastic spoon on hand, in addition to your Peep. First, stack craft sticks on top of each other and secure them with a rubber band on either end. Then slide a craft stick between the first and second craft sticks on the bottom of the pile so it's perpendicular to them. Next, attach a plastic spoon to another craft stick with a couple of rubber bands. Finally, place the spoon catapult on top of the pile of craft sticks at a perpendicular angle, and secure it to one end of the supporting craft stick on the bottom with a rubber band. Now the catapult is ready for some Peep launching fun! How far can your Peep go? 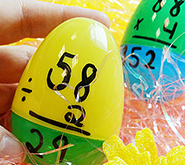 In this Peeps math activity, students will identify the mystery number from a series of clues. You will need 20 Peeps and a marker for this activity. You can either use a permanent marker or a food marker, but make sure your students understand whether or not the Peeps are safe to eat based on the marker you choose! 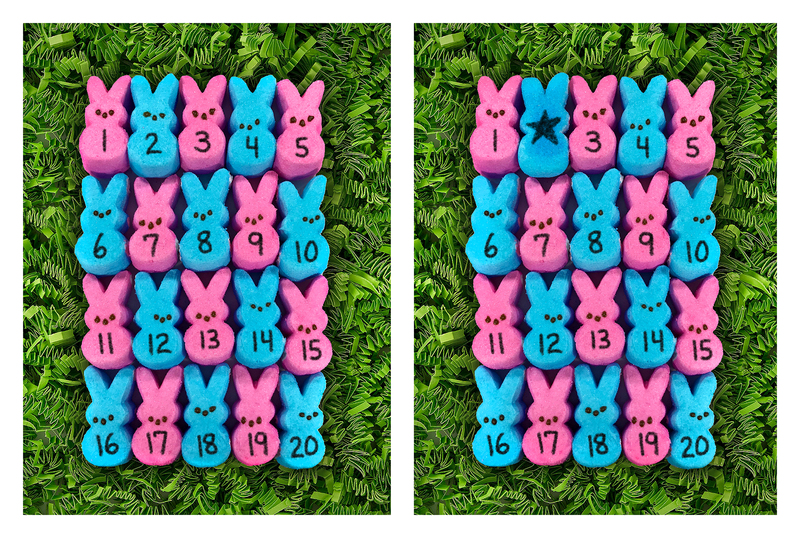 Label the tops of your Peeps with the numbers 1 through 20. Line up the Peeps in equal rows. Now you'll decide which number will be the "mystery number." Mark the bottom of the mystery number Peep with a star. "The mystery number is greater than 1." "The mystery number is less than 10." "The mystery number is a multiple of 2." "The mystery number is a prime number." "What is the mystery number?" Your students will take away the Peeps that don't fit the description of the mystery number until they are left with one Peep. Students will flip over the remaining Peep to check whether they've solved the mystery number correctly. What do you think of these spring STEM activities using Peeps? Do you use Peeps for other educational games and activities with your students? We'd love to hear from you! Share your ideas with our teaching community in the comment section below! Be sure to check out the Super Teacher Worksheets Spring Page for more fun ideas!